If I were a big craft store, today would be considered truck day. New products are rolling in and they are filling the shelves at my Etsy shop. The star of the show is a long snake who prefers to go by the name Goo. This hat-scarf is ready to gobble up the head of an adult with a small head (no, I'm not cracking at your intelligence) or a child with a normal-size head. 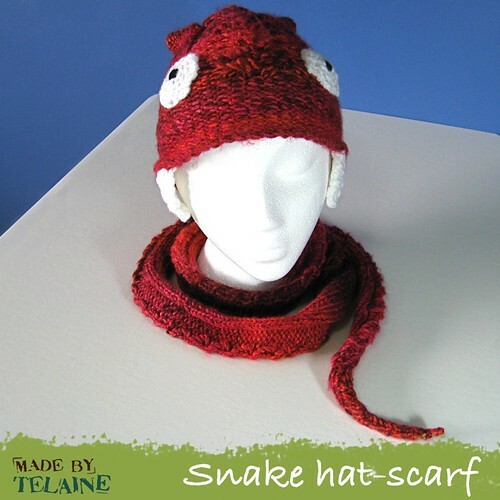 Just pull on the hat, like any other hat, and wrap the snake tail around your neck. Don't worry, he won't choke you like a real snake. Three more items are joining the party. Strut the summer streets with some furry flip-flops. 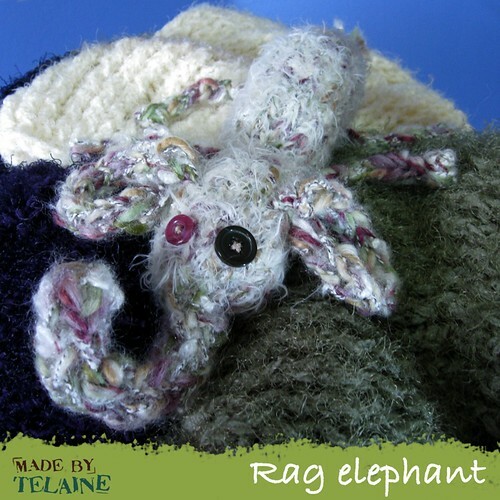 Curl up under the AC with a raggedy elephant toy. 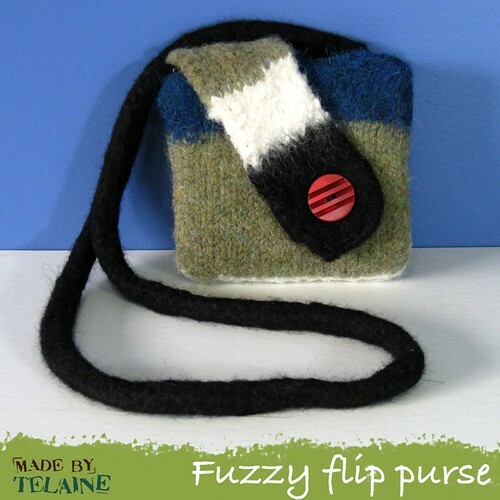 Or go shopping with a felted purse that is "bigger on the inside" (to quote a popular BBC show). In with the new, out with the old. I've also lowered the prices of a few items so go check them out again!